Simple and delicious. 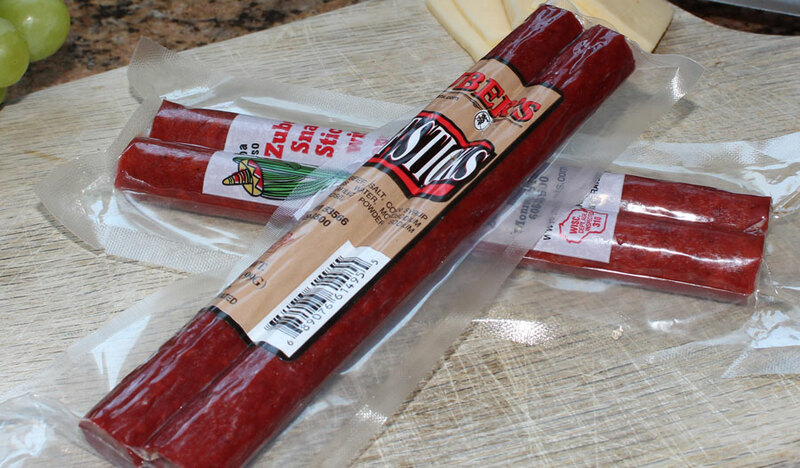 You will be pleased to know that our beef stick is 100% beef…because who wants fillers? 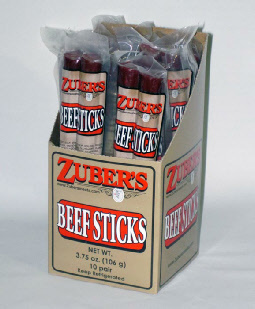 Zuber’s makes 4 different styles of snack sticks. 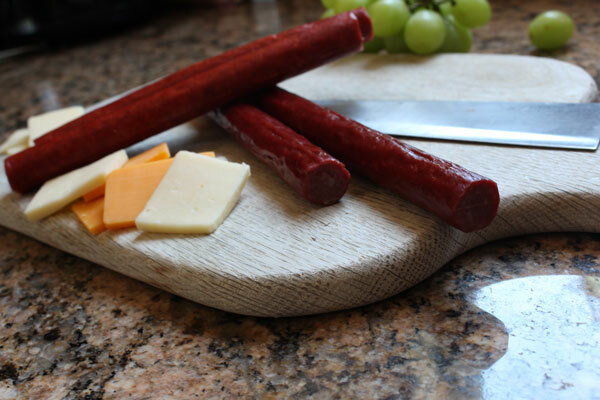 These snack and party favorites are hand cut (no machines doing our work!) and packaged 2 sticks per bag, and sold in a box which holds 10 packs (meaning one box holds a grand total of 20 individual sticks). Upon arrival, you should refrigerate them! 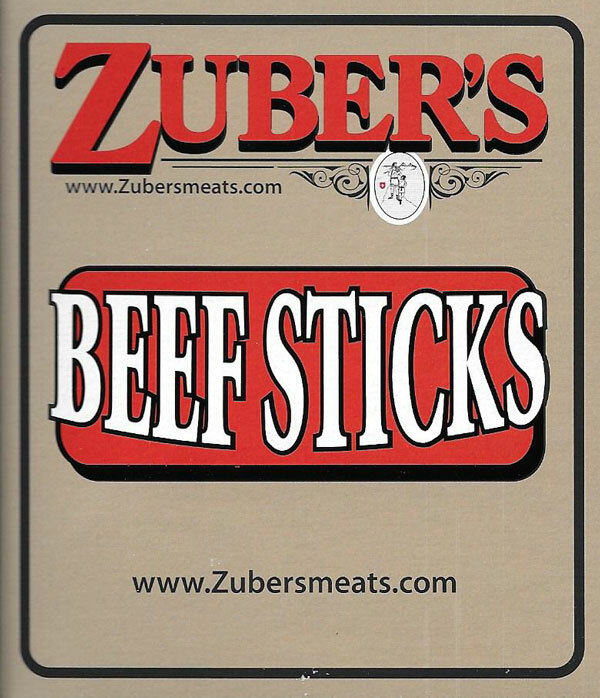 Beef, salt, corn syrup solids, spices, water, monosodium glutamate, garlic powder, sodium nitrate, dextrose.